Rudra International would like to wish its associates and well-wishers a very happy and prosperous new year. We are looking forward to making new acquaintances and strengthening the old ones in the year 2010. Rudra International has teamed up with VI MAKINA of Turkey to Supply and Deliver LIEBHERR Loader and Excavator parts for Marshyangdi Hydro Power Station. 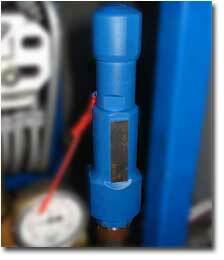 Rudra International has sucessfully completed Supply and Delivery of Safety Valves for Marshyangdi Hydro Power Station. 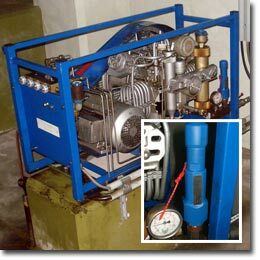 The valves used in the Air Compressor unit is manufactured by LESER GmbH & Co. KG. Rudra International has been awarded the contract to Supply and Deliver Non Return Valves for Ilam Hydro Power Station.